Need a custom gate? Download our Custom Gate Cost Guide to take the first step in becoming an informed buyer. Certainly! 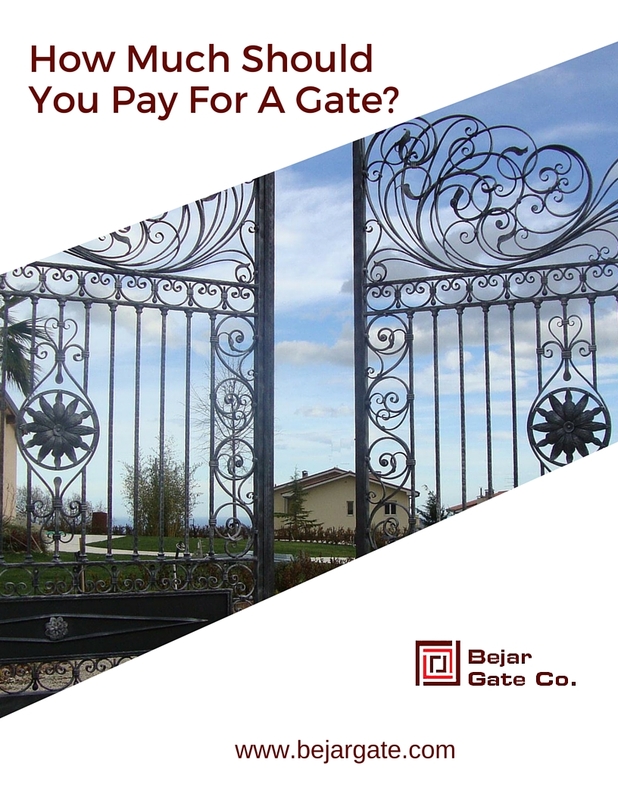 You can download our ebook to help you understand what goes into the cost of a well-designed gate. Gotcha! We have a library of tutorial videos just for you. No worries! We wrote an unbiased ebook to inform you about the 7 things you need to know before choosing the right gate. We are a gate services company based in San Diego who offers the best value in decorative and wrought iron work. Our focus is on the custom designing, manufacturing, and installation of iron gates and driveway gates (including handrails, iron fences, guardrails, doors, staircase railings and window bars). Furthermore, we offer professional electric gate repair and replacement gates services for wrecked, corroded, or dented gates, fences and railings. Our craftsmen offer iron work services at reasonable prices to our residential and commercial customers in San Diego, California. We have a vast experience in offering premium workmanship with outstanding service. By offering a variety of dedicated and professional gate services, we have earned thousands of satisfied customers in and around San Diego. At Bejar Gate Company, we provide outstanding customer service, which is very important to us. To be sure that we meet the high expectations of our customers, we are greatly involved in each project, from start to end, and stay readily available for each customer. We are approved, bonded, and completely insured gates service providers and we back our steel construction service with attractive labor and material warranties as well. You can choose our Bejar Gate Company to custom design, construct, and set up any style of gate you desire for your home or business in San Diego. Our collections range from a plain, affordable, and primarily purposeful iron, wood, or security gate to an elaborate ornamental iron gate with state-of-the-art operator and entry control systems. Solid and tube iron bars. Furthermore, as our craftsmen have a high level of creative skills, they are fully capable of customizing all types of gates that will boost the value, look and curb appeal of your business or home while meeting your safety requirements and budget. Contact us today and make the most of our free onsite discussions for all types of gates for your San Diego home or business. Trust our company to skillfully design, manufacture, and set up your gates at your home or office. Our highly trained and knowledgeable craftsmen are proud of them by following only the maximum standards of quality workmanship, and construct all gates made of iron with long-lasting life. Whether you require minimalistic garden gates or ornamental iron gates for the driveway, any of our gates can be made secure by appending a gate operator system or a safety access gate by affixing a phone access system, card reader, keypad system, entry system, closeness reader, or other state-of-the-art entry control equipment. Get in touch with us today to set up a custom iron gate at your property in San Diego. 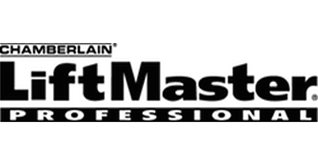 We have over 27 years of experience in crafting gorgeous decorative and wrought iron driveway gates. We often sell, set up, and fix gate operators and entry control systems by major brands,. 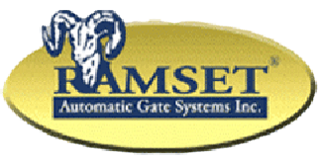 We are also competent in working with almost any foremost gate operator brand. With our industry knowledge, we are capable of offering you a guarantee that you will get the correct operator for your gate, such that your gate will have the required security features to protect pets, people, and vehicles from getting damaged or trapped, and your finished gate will function according to your needs. For all of your custom iron work requirements in beachside San Diego, look no further than Bejar Gate Company. If you give us a call, one of our capable professionals will assist you in designing the perfect iron fence, railing, security gate, safety door, or window bars for your commercial and residential properties at an affordable cost. Baked-on powder covering or metallization treatments. Most business owners in San Diego love our custom-planned automatic gates, railings, window guards and doors. You can make your property more secure devoid of having to sacrifice the beauty of your building. Our iron work also obeys current building codes. We offer handmade artificial solid and tubular iron for all of our commercial iron rails, fences, doors, window bars and gates in the neighborhood. 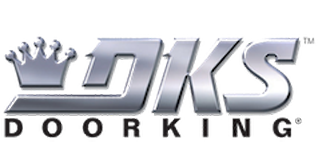 At Bejar Gate Company, we are proud to offer premier iron work services to our residential and commercial customers in and around the San Diego County at extremely competitive prices. Our friendly sales staff will install access control solutions for your customized entry system. We provide a full range of repair services for malfunctioning gates: Mechanical, electrical, and software. We handle every aspect from design specification, manufacture, trenching, gate-hanging, wiring, and programming. We offer maintenance services to ensure you will get life-long, reliable use from your system. We purchased a new home that had a gate entry system that uses your phone system to communicate with the gate to admit vsitors, lock, unlock etc. We had significant rewiring performed by an electrical contractor and ATT. Subsequent to that the gate system did not work. I called Bejar Gate and they sent an excellent technician out to see me that same afternoon. He was very competent and personable and put us back online in less than 1 hour. The office staff was also extremely helpful. Thank you Bejar Gate! My name is Wafaa Stelse I’m the operation Manager with Jet Air FBO located at the Gillespie Field Airport. We have been doing business with Bejar for 12 years and your are great! When we have a problem the whole team responds immediately with support! If you’re looking to install new gate systems or update your old system I highly recommend Bejar! Office staff was friendly and efficient. Site technician was knowledgeable and personable. Very happy with contracting this company for my telephone entry system repair job. I definitely recommend this company to all my friends. Adam and Jamie have been a great help. I have called innumerable times, and they are always gracious. They have taken the time to set up our system and to help with any problems we’ve had with the electronic gate system in our building. We uniquely match your requirements through 4 easy steps to customer satisfaction! We will survey your property and goals and provide you with a free estimate. We will address your security needs, property-enhancement goals, and aesthetic requirements. Every detail of the construction and installation process will be covered. Our friendly technician will make sure your entry system functions properly for a lifetime of reliable performance.